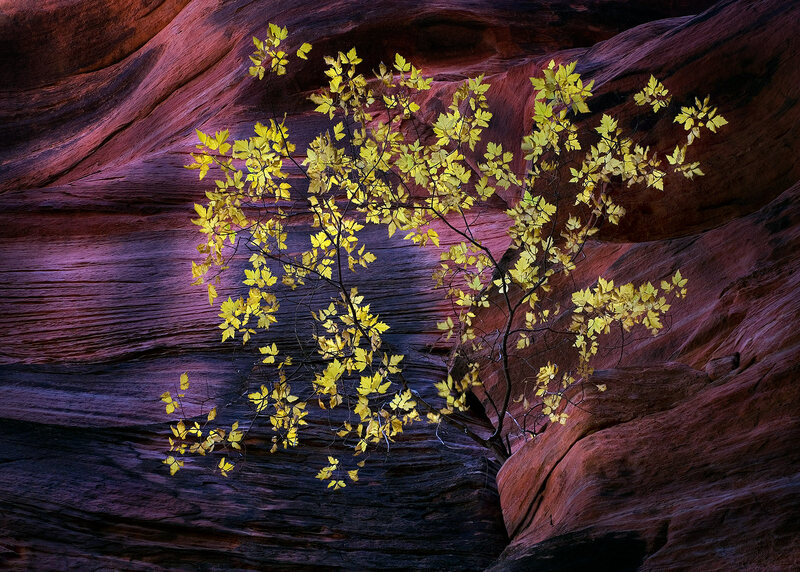 A colorful Maple clings to life high on the wall of a slot canyon in Southern Utah. The stone is faintly illuminated by reflected light off the higher walls. Photo © copyright by Marc Adamus.